The first post here saw the light exactly four years ago, on August 22 2010, a day after a gang under the direction of Rocinha’s druglord, “Nem”, invaded the São Conrado Hotel Intercontinental. Today, Nem is in jail, Rocinha has a (much-challenged) UPP, and the Intercontinental carries a new name and owner. So much has changed since those days, when pacification was still a novelty. 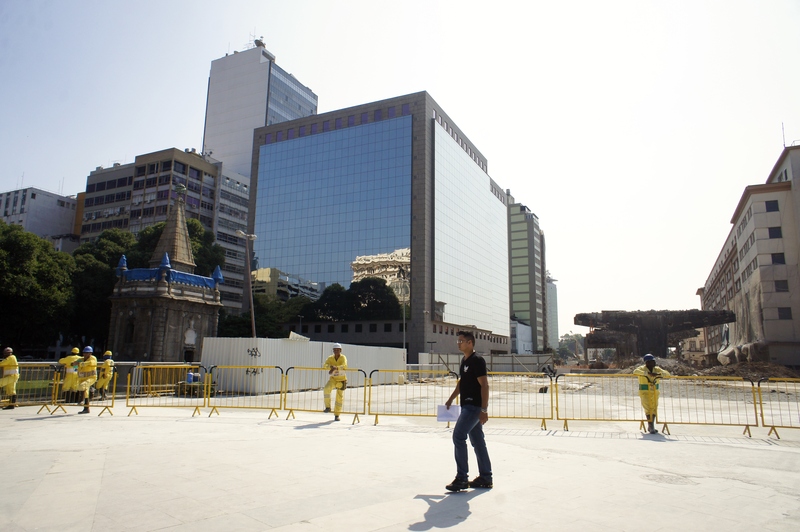 The post was actually a home video made on a cell phone to give the viewer some idea of the changes taking place on Avenida Presidente Vargas, in downtown Rio. Today, the avenue is dotted with new and renovated buildings, the Campo de Santana park is set to be adopted by French companies and the São Francisco de Assis Hospital just entered a remodeling phase. Since 2010 this blogger has crossed and recrossed the city, learned huge amounts, met inspiring people, written 374 posts, garnered more than 176,000 page views, created the Abecedário (ABCs) of the transformation of Rio, the Cariocapédia, and produced, along with videographer Jimmy Chalk, two videos. She’s published a Portuguese-language memoir and a bilingual coffee-table book about iconic Arpoador Beach, and these days is in the early research stages of a book about Greater Rio. Check out the Mission Statement in the column to the right, dating back to early days. It’s been overtaken by myriad events, but signals the blog’s origins. During this electoral season, the issue of continuity (and rethinking some public policies, of course) is more relevant than ever. The transformation phase that began in 2008 sparked a wave of demands, heretofore held in check by a general sense of impotence and impossiblity. The city changed a great deal over these four years, and the reader can begin to get an idea of what’s been going on by looking at Cariocapédia catalogue, though it needs updating. The blog itself documents much of the change and the challenges (you can also like the blog’s Facebook page, for constant Rio news, and follow it on Twitter). Perhaps mobility is what’s changing the most, though it’s early to evaluate the overall impact of the new BRTs, BRSs and VLTs (dedicated bus lanes and trolleys), the Metrô Line 4 extension, three cable car systems, a ban on vans on much of the city, bicycle path growth and a more efficient bus system. So now let’s talk about what’s still missing. On this score, Casa Fluminense (that this blogger held to found) just launched its Agenda 2017, to be presented to gubernatorial candidates. Drafted collectively, the ten-page Agenda is worth a careful read. It presents a selective few concrete proposals focused on four bases: metropolitan administration, the promotion of equality, the deepening of democracy, and sustainable development. All are welcome to reflect on the Agenda and join the Casa Fluminense, created in 2013 “by activists, researchers and citizens who identify with a vision of a more just and integrated Rio”. As last year’s demonstrations indicated, our horizon seems to drift further away, the more the metropolis moves in its direction. We’re all critics; we think, for example, that we lack a general vision of the city we want, that government officials have been too authoritarian. 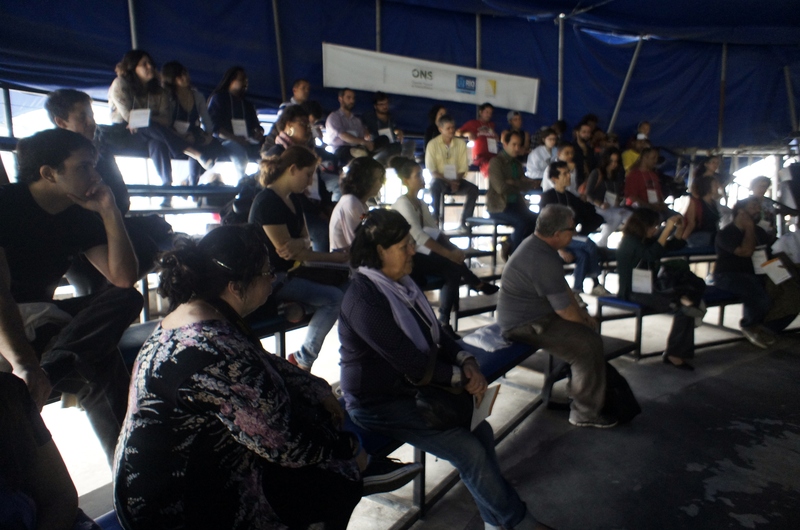 We want more participation and transparency, more urban integration. The good news is that there has never been so much discussion about Rio de Janeiro. 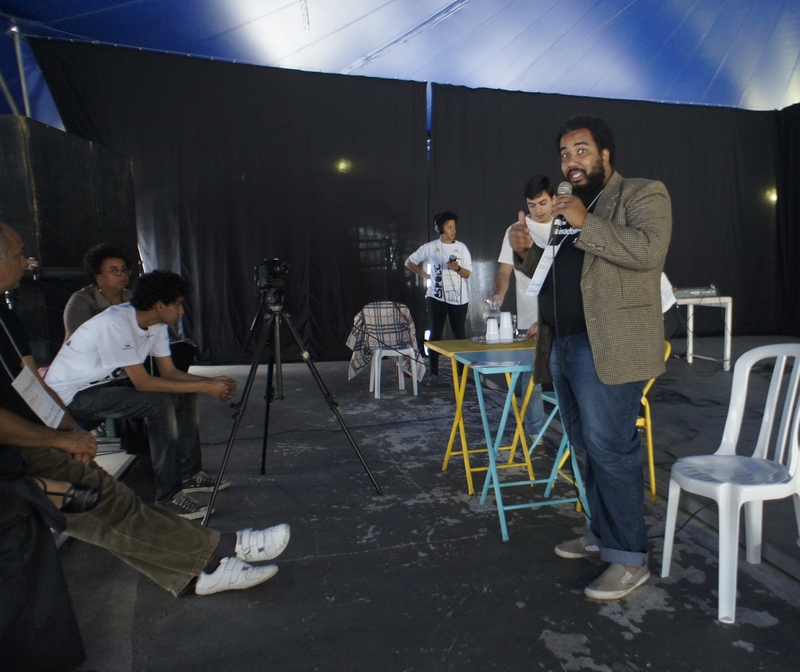 This was evident during a debate on the legacy of the Olympic Games, organized last week by Rio de Encontros. 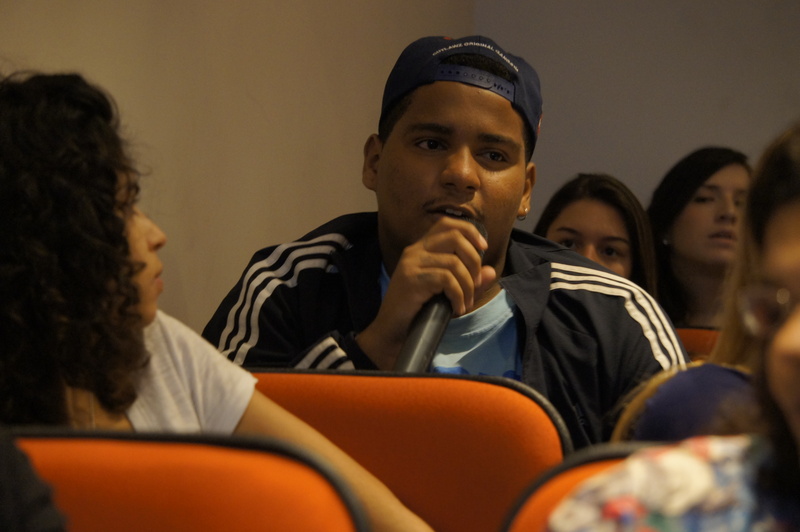 At the Casa do Saber, young people from all over the metropolitan area interrogated representatives of the Organizing Committee and the Municipal Olympic Company, about their legacy plans. There was also a rich exchange with two veteram athletes, on sports competitions in general. This awakening is crucial to the near future, before and after the Games. 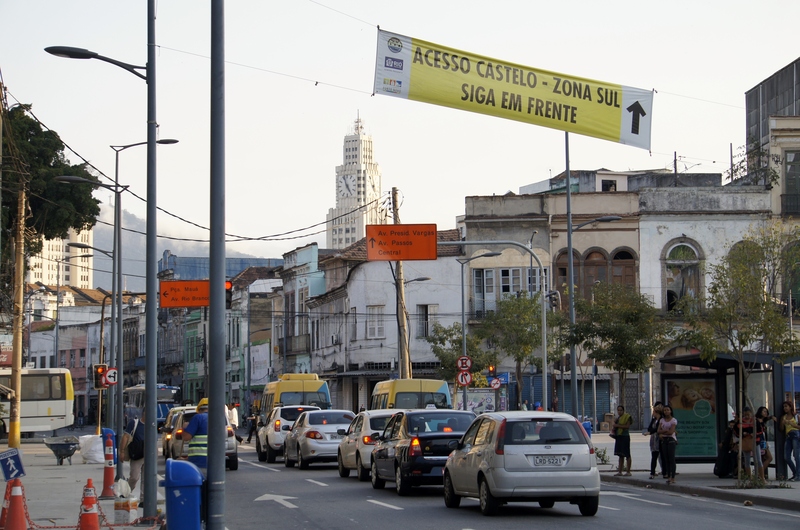 Without discussion, dialogue and debate, the 26% who believe that Rio’s transformation won’t last — as shown in the blog’s opinion poll (at right) — will turn out to be correct. What is your vote? Will it last? Vai durar? Have you watched RioRealblogTV’s new video, about favela alleys? Watch here, and make sure to click on the captions icon for English translation. This entry was posted in Brasil, Porto Rio de Janeiro, Transformation of Rio de Janeiro / Transformação do Rio de Janeiro and tagged Agenda 2017, Casa Fluminense, Rio de Encontros, Rio de Janeiro 2016 Olympic Games, Rio de Janeiro transformation. Bookmark the permalink. Julia, Congratulations on your milestone. We were expats in Rio for a year and a half (2011-2013) and appreciated very much your presentations at the Rio INC. We have felt privileged to learn from you and broaden our cultural experience of Rio through your blog during and after our séjour in Rio. Julia, I met you around the time you were beginning your blog. Over the years I was astonished at the size of the task you chose to take on, and was equally admiring of the way you made it look effortless. Congratulations on your achievement. I wish you continued success. Michael, thanks so much! It’s easy when you enjoy what you do, as I am sure you know.